Deep steel WOK-pan with curved bottom is mainly meant for preparing Asian dishes. 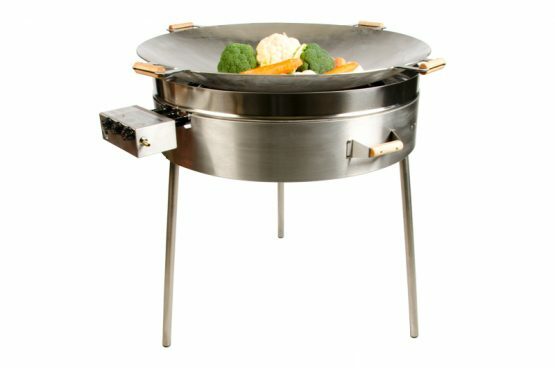 It has very good cooking features. 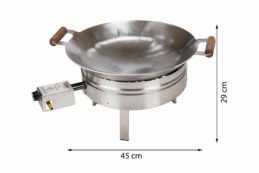 Different woks, soups, like Tom Kha, Tom Yum, and many other dishes can be prepared quickly thanks to a powerful gas burner. 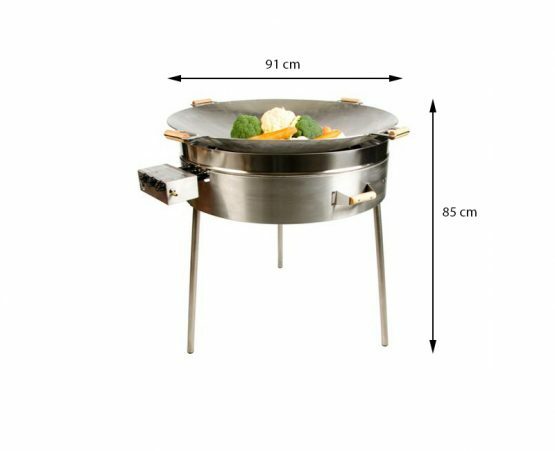 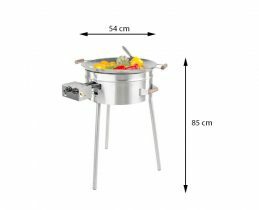 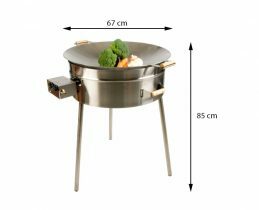 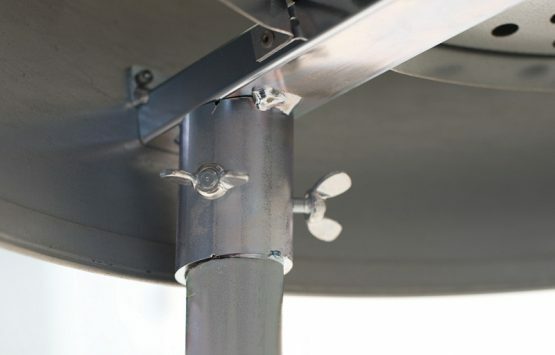 Since the 45 cm wok is more efficient and faster than most fritters, it suits perfectly for fritting – spring rolls, tempura, fish and chips, falafels, chicken wings, onion and calamari rings, etc. 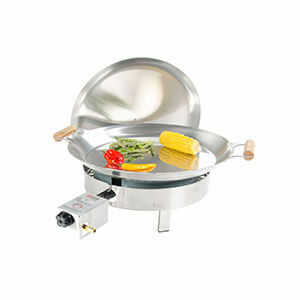 The pan enables to prepare food very quickly. 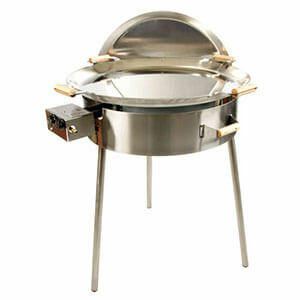 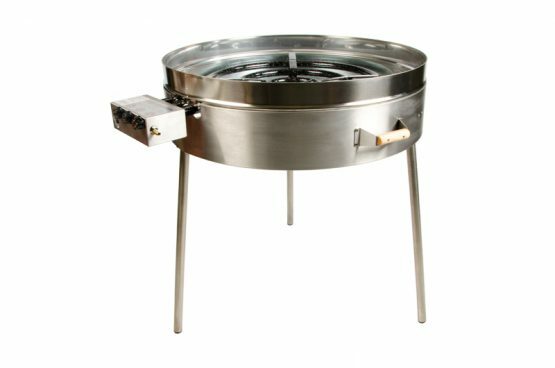 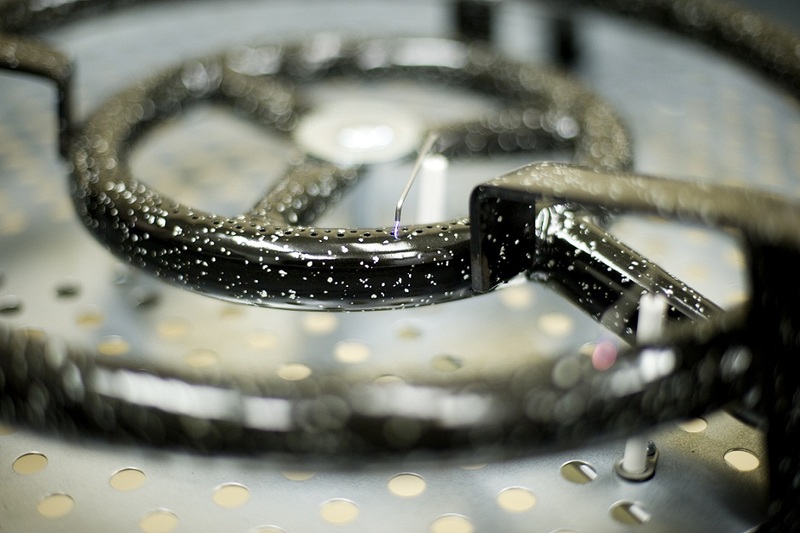 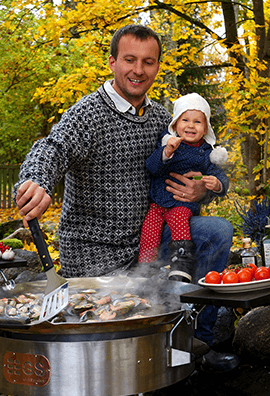 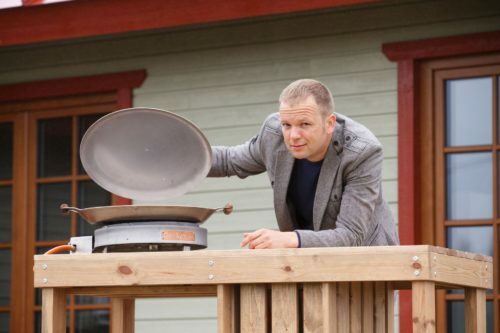 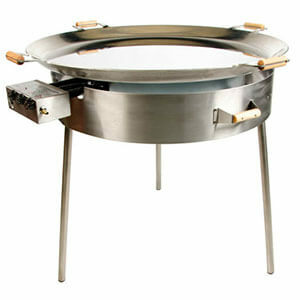 Strong construction, a powerful gas burner, and hollow wok-pan form a well functioning whole. 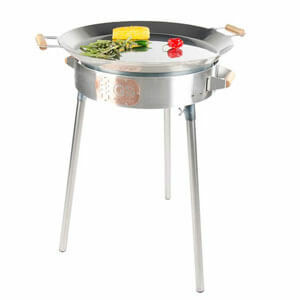 “Triple Windshield“ provides the best possible protection from wind and the flame won’t go out even with a moderate wind.